So the thing about any family gathering or party is that people often mix up their drink with another. 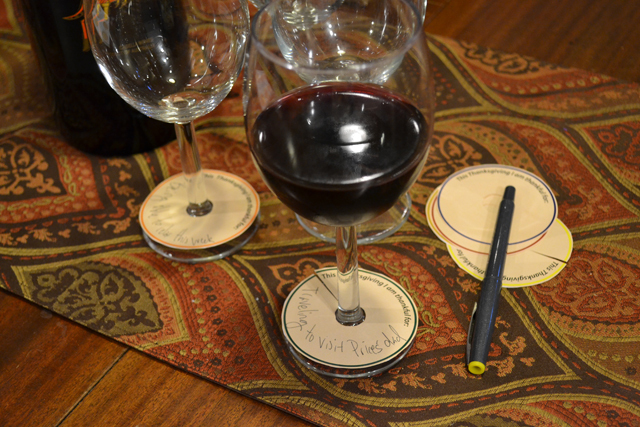 It’s always about ‘wait, have you seen my drink?’ or ‘are you drinking my drink?’ when there are a bunch people all drinking white/red wine. Sure wine charms are cute but wait… ‘do I have the blue charm or the green one?’ See what happens when you are drinking?!? 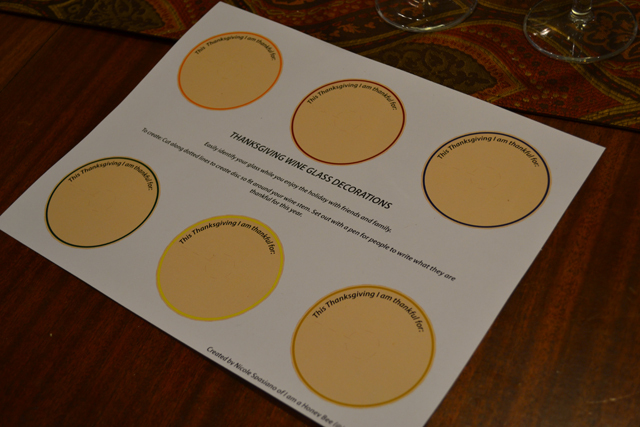 So I created a template for you to use for this Thanksgiving to easily identify your glass while reflecting on what you are thankful for now. I totally love these! I’m saving them for next year. 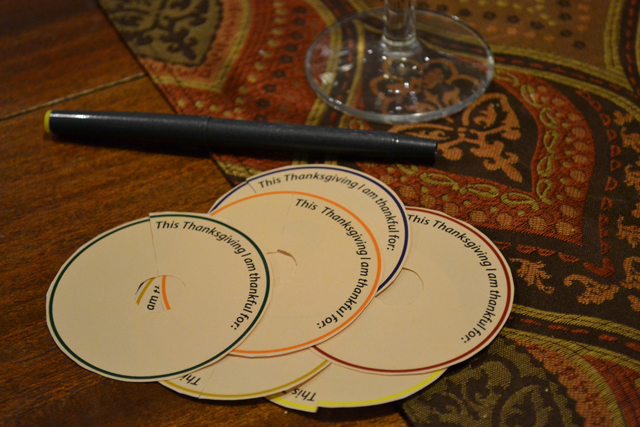 I am totally doing these for every holiday. Great idea Nicole! Guests can hopefully remember their names, if not their charm color. If not, then it’s probably time they stop drinking.